Chung(Mind) Moo(Body) Doe(Through practice a way to develop harmony). Many Moo Doe experts have had difficulty researching Asian Moo Doe history because much of history of Moo Doe has been passed down from generation to generation through a closely guarded oral tradition. Only a small percentage of what is known about Moo Doe history has come from any written record. What some historians have discovered about the history of martial arts is from piecing together facts of events depicted in paintings, in murals, on vases and fans, and a rich oral tradition of folklore as well as evidence from architectural ruins, statues and other art forms. Some Moo Doe practitioners believe that Asian art and sculpture, dating back thousands of years, depicts movements from early Moo Doe history. Although the details of form and movement may be well guarded, history has shown that the greatest results are in the mental and physical development achieved through Moo Doe practice, and how these results tremendously benefit the lives of individuals. It is the strength of Moo Doe that has made many countries in East Asia the tremendous economic and social powers that they are today. Even in Western culture, many in business and politics study Mushashi's Book of Five Rings, as a guide to success. Correct Moo Doe practitioners guarded their knowledge as they guarded their honor and name. Choosing the right heir to pass their knowledge to was very important. A good student to a higher Moo Doe practitioner was considered as important as his own life. To leave behind knowledge with the wrong person that could harm others was a disgrace and the same as planting a bad seed that could damage future generations. To leave behind knowledge with the right student was to leave behind a good seed to benefit future generations. This meant the honor and respect of a meaningful life. Today throughout the world billions of individuals practice Moo Doe for the tremendous benefits in their daily lives, enhancing health, communication, family and business relationships, friendships and much more. The Oom Yung Doe line of martial arts combines knowledge, forms and movements that span thousands of years and generations of martial arts practitioners to provide a diverse style of martial arts today. 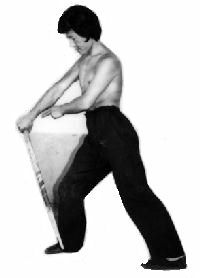 This diversity of knowledge, form and movement benefits and develops the human body in many different ways unique to the Oom Yung Doe martial arts. The Chung Moo line of martial arts combines and teaches all martial arts together as one. 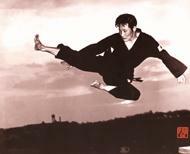 The history of the Oom Yung Doe Style of martial arts taught in the United States and throughout the world by Grand Master "Iron" Kim encompasses all the form and movement taught over the centuries since the time of the first generation Master "Bagwa". Most historians agree that the Bagwa line began sometime during the end of the Han Dynasty (206 BC - 228 AD) or the beginning of the Sui-Tang Dynasty (589 - 907). The form taught by the first generation Grand Master was called "Bagwa" after the honored founder of the Chung Moo line. Other names of this line include Bagwa, Goong Bu, Pal Gye Chung, Yin Yang Doe, and Ship Pal Gae. The 7th generation Grand Master Wang Po taught the Chung Moo line of martial arts under the style Yin Yang Doe. About the time of the 6th or 7th generation Grand Master, other styles of Asian Moo Doe were incorporated into the original Oom Yung Doe line. 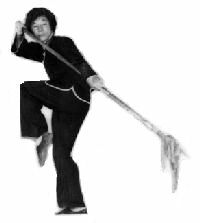 Today, about 20% of the Chung Moo line is derived from other styles of Asian martial arts. Throughout the history of almost all of these martial arts the main forms and movement have remained the same. However, over the years it was common for an individual Master to refine form and movements in some of the styles. It was also common for each Master to select a unique name to differentiate that generation of form and movement from the original style. Over the centuries, a few main styles may have developed a thousand different names to reflect the history and traditions of the people that taught and practiced the style. In 1989, Grand Master "Iron" Kim chose the name Chung Moo Doe for the first time anywhere in the world. This style represents the heritage of the royal line of martial arts prominent during the Han and the Sui-Tang Dynasties for the first generation of practitioners in the United States.